Featuring Niagara’s patented and highly innovative Stealth Technology, the Nano toilet has a compact design while maintaining the comfort of an elongated bowl, making it perfect for smaller spaces. 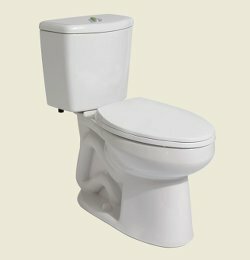 Patented vacuum-assist flush technology means the Nano only utilizes an average of only .6 gallons-per-flush, making it the most water-efficient toilet on the planet. Along with being showcased at the Niagara booth, the Nano will be featured in the conference’s tiny home display. Additional features include a powerful vacuum-assist flush that leaves behind a clean bowl every time, a noise-canceling tank, and a 10-year warranty with a highly responsive service team on call to help. Alongside the new Nano toilet, Niagara will showcase a re-designed Phantom toilet at KBIS 2018. Featuring skirted sides that conceal the trapway system, a narrow tank, and smooth, skirted bowl, the Phantom boasts a lean silhouette that makes it a modern fixture in any bathroom. Niagara’s Phantom and Nano toilets are WaterSense certified, MaP premium rated, and certified by the American Society of Mechanical Engineers (ASME).